I recently had a troubling conversation with a foreign visitor - a professional travel journalist no less! - who was passing through Kyoto for a few days. He was asking me for advice for the rest of his stay in town, and I started to list off some of my favorite sites in the city. "Fair warning," he interrupted me. "I can't handle any more AFT." I sensed a joke coming on, so I played along and informed him I wasn't familiar with that acronym. "Oh, AFT stands for Another F*cking Temple," he replied expecting a laugh. Needless to say, I was a little shocked. At KyoTours Japan, we live and breathe Kyoto's history and culture (you can read more about our philosophy on touring Kyoto here), which includes a heavy dose of temples and shrines. The most rewarding part of this work is introducing these sites to visitors, but we know that sometimes it just becomes to much and the next historical site really does feel like AFT, especially when you're touring on your own without a guide to give you some cultural context. So we get it. Getting templed-out can certainly happen, and with over 1600 Buddhist temples and 400 Shinto shrines, the struggle is real. When you come to Kyoto, the main thing to do is see the temples. (Not that there aren't plenty of other great sights nearby and things to do in town though) We want to make sure your time in Kyoto - both on our tours and on your own - is the best travel experience of your life. So here's a few tips to keep in mind as you plan your time in Kyoto so that you won't get templed-out and can fully appreciate all that this beautiful city has to offer. This is a simple tip. Mix up your itinerary to keep it interesting and add some variety to the sites you visit. Don't just get a list of the popular temples and shrines from online and check them off one by one. 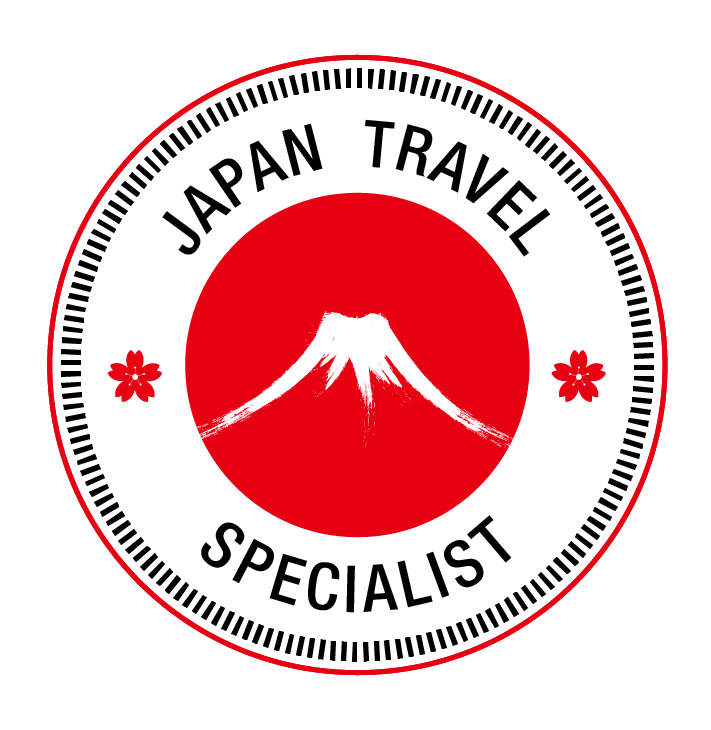 Throw in some gardens, museums, Zen moments, local food, teahouses, shopping, hands on experiences, and outdoor activities like hiking and nature walks (yes, there is great hiking in Kyoto if you know where to find it). Don't get stuck in the all too common situation of showing up with no plan, and just end up getting funneled into the same old tourist temples that every other visitor sees. This will get you locked into a day full of crowds, confusing public transportation, and a bunch of temples that you won't fully appreciate. Think about branching out into the nearby region as well. A day trip to Nara is must-do when visiting Kyoto, and a trip to Osaka to experience their famous street food and nightlife should be on your list as well. Maybe even visit an onsen hot spring up in the mountains if you're feeling the need for some relaxation? With a little research and planning, you can also find some great outdoor activities in neighboring Shiga prefecture, a truly underrated region with unique sightseeing opportunities only minutes from Kyoto by train. For every few popular temples that you read about online, look deeper and find a hidden gem. If you read a review online about a spot that was deserted and charming, add that into your day! This is pretty common sense advice, right? You'd be amazed how many people don't think about this, though, and end up powering through a dozen of the big temples and getting burned out fast. This comes with the point above, because as you research the places you want to see, you'll learn about them. Don't just pick a location because it's rated high or has nice pictures... read about what you're going to see there so you can better appreciate it when you arrive! Don't make the mistake of relying on a guidebook once you get there. I see way too many visitors with their face in the pages the whole time instead of enjoying the scenery. Read your guidebook before you leave your country, skim it when you're heading out that morning, and then just take in the sights. Ideally, your time at a temple or shrine should be all about "Oh, I already read about that statue/building/garden! So cool to see it for real finally!" Don't let it become "Um, let's see, what page is this temple? What is that thing I'm seeing? Is this in the index?" Think of the guidebook at a primer for what you'll see when you get there, not what you're presently seeing. Spend some time on various travel sites, wikipedia, Japan Guide, or even youtube, and if you can get just a tiny bit of background on the places you'll visit and what makes them special before you arrive, you'll feel much more comfortable just enjoying the site once you arrive. Because it won't just be AFT if you were looking forward to seeing it after reading about it! We're gonna let you in on one of the greatest activities for travelers that most foreigners haven't discovered yet. Goshuin seals are special stamps and calligraphy collected in a special book at various temples and shrines through out Japan. This started as a religious pilgrimage thing, but nowadays it's a popular hobby activity for locals to show where they've been. You can read more about goshuin HERE. 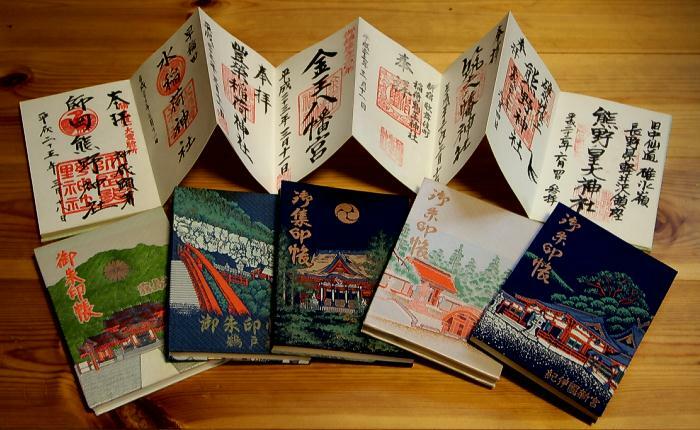 Not only will you have fun collecting the seals and building your collection, but you'll end up with a great souvenir to bring home: a traditional book filled with beautiful calligraphy personally collected by YOU! You'll soon find that you'll be actively seeking out more temples and shrines to fill up the pages in your book, so this makes a great activity for a city like Kyoto that is filled with religious sites. Some tips: don't wait until Kyoto to start collecting. Buy a goshuin-cho book at the first temple or shrine you visit wherever that might be in the and start filling it up before you reach Kyoto. If you're traveling with kids, consider using this activity to keep them engaged and excited about visiting temples, and maybe set some sort of goal for filling up pages each day. Also, be on the lookout for special fabric bags sold by some temples that are used to hold the books. They are usually beautifully embroidered with the names of temples and make quite a stylish pairing with an equally attractive goshuin-cho book. 4. Tour with KyoTours Japan! (You saw this one coming, right?) Something we often hear from our guests is how wonderful they find the variety of our tour itineraries. Even if the day is packed with temples and shrines, they didn't feel templed-out thanks to our ability to keep things fresh and help you see each location with a new pair of eyes. We bring these locations to life with an attention to details that you would miss on your own, and interesting stories about the people who built these magnificent sites and the eras they lived in. It's not uncommon for us to receive emails from guests who say they remembered the details we pointed out regarding architecture, art, and temple life, and then were able to spot those things on their own at other sites as they continued their travels through Japan. When you recognize the meaning of a roof tile you spot in Hiroshima a week after touring Kyoto with us, that means we did our job! At KyoTours Japan, we try to work a variety of interesting sites into our tours, and when we choose a temple or shrine to share with you, you can be sure that's it's going to be one of the most impressive ones in the city, complete with beautiful scenery and wonderful stories to tell. Of course, if you do come down with a case of the dreaded AFT syndrome, we also pride ourselves on our flexibility and ability to introduce other activities into tours, so we can adjust itineraries on the fly to match your changing interests. We hope this advice will help you enjoy your time in Kyoto and keep you from feeling like you overdid it on temples and shrines. Whether you're touring with us on or on your own, follow these simple suggestions and you'll have a great time in Kyoto! Private tours of Kyoto, Japan designed to provide you with a unique and memorable Japanese adventure. With walking tours in Kyoto and Nara, you can truly experience a more personal side of Japanese culture.